Until a few years ago, it was unusual for developers based in India to work from the comfort of their homes on a US-based project. However, with organisations focusing more on skills and productivity than on co-location, remote working is now widely accepted in professional circles. In fact, the biggest factor for this transition has been the access to tools that allow multiple members to collaborate easily from remote locations. There are hundreds of tools available to help members collaborate better, of which we have shortlisted five that we think are the best in the industry. 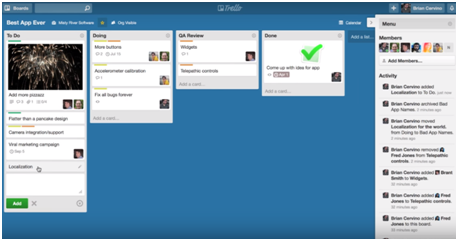 Trello and Jira are two of the most common project management tools used by remote workers. While Trello is used for a variety of tasks, Jira is the popular choice amongst developers. 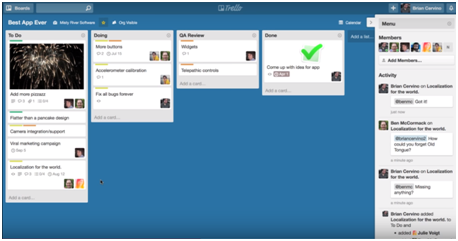 Trello is like your virtual soft board where you can pin cards that resemble sticky notes. Each card represents a task and provides information related to it. 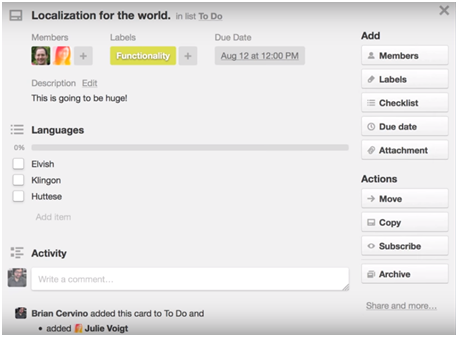 Trello allows you to create a new task by adding a card and including information about it. Allocation of work can be done by just clicking on the card and adding members to it. These members can converse with each other by adding comments in the activity field. In case of any sub-tasks, you can also add a checklist and colour code it to track its status. Additionally, deadlines can be attached to each task by adding a due date to it. You can also monitor the progress of each task by segregating the cards into different categories. For example, you can click and drag a card that is done from the To-Do category to the Completed category. Once all the tasks are completed, you can archive the cards. Now let us have a look at Jira. Jira is the most preferred project management tool of Agile teams. It allows you to plan, track, and release software effectively by providing fields like estimate; work completed until date, status tags, among others. On an overview level, you then have a visual representation of the progress of each feature, and the software in general. Additionally, Jira also allows you to track features across releases by letting you create backlog buckets. You can then easily move features in and out of your current development plan. It gives you a real-time overview of the status of the upcoming releases. 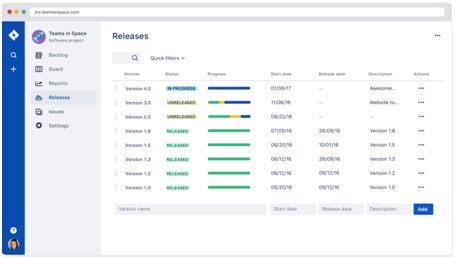 From managing the core workflow management system, to the Scrum & Kanban boards, and the sidebar that contains all information related to the project, everything in Jira can be customized according to the project needs. So you need to communicate with your team members and are tired of keeping track of numerous mails. Maybe you went on a short vacation and came back to realize your inbox was flooded with tons of emails — you have no clue which messages are critical and which ones are not. Or you are plain lazy (just like every other developer) to write long emails for short conversations. Worry not — Slack is here to rescue you. Slack is essentially a sophisticated messaging app allowing you to effectively track all your conversations and files. The current favourite of the Silicon valley, Slack helps in creating a shared workspace where conversations can be organised and made accessible to all the team members. Slack has an option to create channels. For example, you can create a separate channel for your project and your office location. This helps you keep a tab on the progress of your project or the events in your office locations. You can join in the conversation anytime you want without your work being disrupted. It is not only about having conversations though. 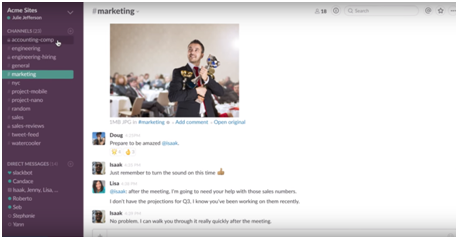 Slack also allows you to share files such as PDFs, word documents, spreadsheets, and images with your team members. The best part about Slack is its ability to search past messages, files, and even the content within those files. So, if your team member requires a certain file, just enter the keyword in the search field and you will find all the files related to it on the screen. Simple and efficient, isn’t it? 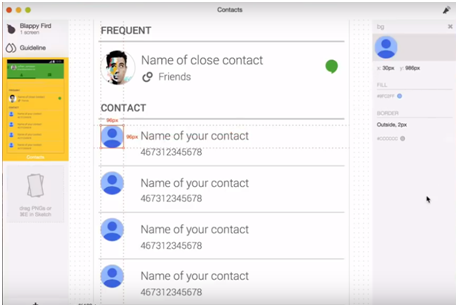 G suite, powered by Google cloud, comprises a set of smart apps such as Gmail, Google Docs, Google Drive, and Google calendar, amongst others. Let us take a quick tour on how you can use G Suite to the best of its ability. Gmail: While there is no need to explain Gmail’s functionality, its importance cannot be stressed enough. Since, more often than not, mail is the first point of contact with potential customers, it is also the first impression made. Therefore, the impact of writing good quality mails and being responsive is huge. Google docs: Sometimes you need to co-create documents with multiple team members. To make this collaboration effective without sending multiple versions of the same file via e-mail, Google provides you with the option of Google Docs. This app is also useful for members not having access to Microsoft Office applications. 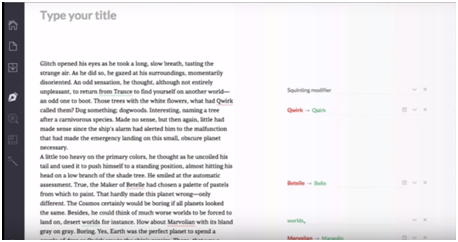 Google Docs allows you to create and edit documents right in the browser. Google Docs also has an option called revision history, which tracks all the comments and changes made to the document. So, even if a comment has been deleted after two-three revisions, it can be traced back. Google Drive: G suite provides you up to 30 GB space. That is significant amount of space for you to share and collaborate with team members. Instead of having to scramble through mails, it is best to have a well-organised drive for easy access. Google Calendar: While the basic functionality of scheduling meetings is obvious, a highly useful feature is “Find a Time” which analyzes the calendars of all team members for potential clashes and suggests a time slot that could be convenient to everyone. So, you no longer have to coordinate with your team members across the globe to find a mutually convenient time! You can find many more plug-ins that suit your project requirement in G Suite Marketplace. For a tech project to be successful, it is essential for designers and developers to be on the same page. Sketch has recently gained huge popularity in the designer community. Designers now prefer to use Sketch to create UI/UX designs. However, the problem of collaborating with developers still remains (We all know how tough that can be 😉 ). Besides, there’s also the concern of wasting precious time in creating specs document and handing over the designs to developers. Enter Zeplin — a collaboration tool that helps designers to upload wireframes and visual designs, which the developers can then use. Zeplin is integrated with Sketch. So, a designer can upload their files into Sketch and publish them directly to Zeplin. The developer can then view these files, inspect and find the details such as the colour, font style etc. Zeplin also helps in keeping style guides updated; generating assets of different sizes depending upon the platform, and aids real-time interaction between developers and designers to close the queries as early as possible. You do not have to be a writer to know the importance of grammar in day-to-day communication with your team members. Grammarly is an online proofreading application that provides a detailed explanation on why a certain sentence or a word might be incorrect. To proofread a document, you can either copy paste the text in the application or import the file that needs to be checked. Once the content is uploaded, the application shows the errors and provides an explanation for showing the error. You can either accept the suggestion or click on ignore to move to the next. You can also add a word to the dictionary if it is unique and going to be used frequently in the text. Once proofreading is completed, you can close the application if you have imported the file or copy and paste the revised content. The free version of Grammarly helps with basic proofreading. However, if you are looking at using at a professional level, then the premium version of the tool is highly recommended as it gives you suggestions on punctuation, grammar, sentence structure, and vocabulary. It also has an in-built plagiarism detector that checks more than 8 billion web pages for plagiarism. A free browser plug-in is also available, which helps in keeping all internet conversations (especially mails) grammar error-free. As an organization that works with freelancers and remote workers, we found these five tools to be extremely useful. We hope you find them beneficial too.